My newest program, The Art of Self-Advocacy, is now open! Grab your spot now! 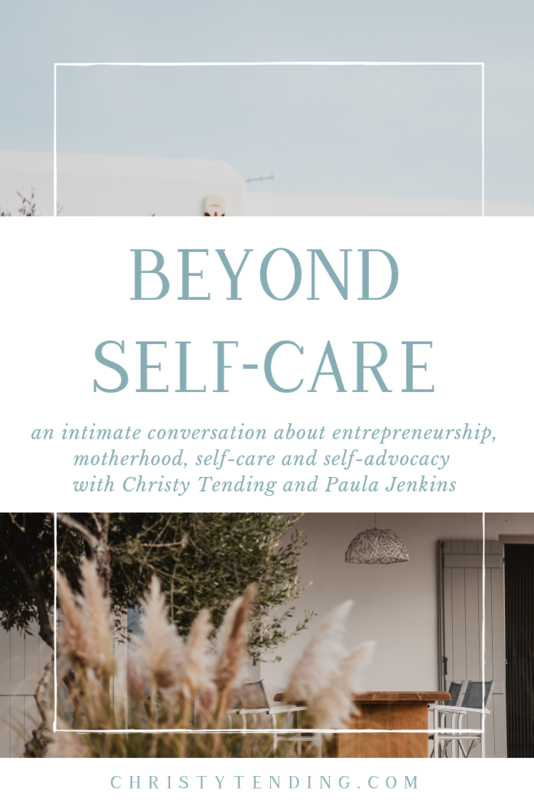 And listen in below as I chat with my dear friend, Paula Jenkins, all about this brand new idea and how we go beyond self-care. One of the best parts of my work is chatting with like-minded folks who are also tackling big questions. Which, before we even hit record on my first episode of her show, we were. We probably would never have met had it not been for her show, but I’m so grateful every time we get to chat about our journeys, whether in person or on the podcast. Below, I’m sharing my fourth (?!) episode on her incredible podcast, Jump Start Your Joy. As her first guest in her “Friend-preneur Series,” I was delighted to chat with her about my newest program, The Art of Self-Advocacy. We recorded the episode just a few days after I first began exploring the topic, and now it’s a full-fledged program! Like magic. “My intent with starting this series is to share friendly conversations about the realities of being an entrepreneur. You’ll get a bit more of me as a participant (instead of being the interviewer, I aim for this to be more conversational), and hear how I’m approaching entrepreneurship while also being a mom, having a 9 to 5 job, and finding harmony. 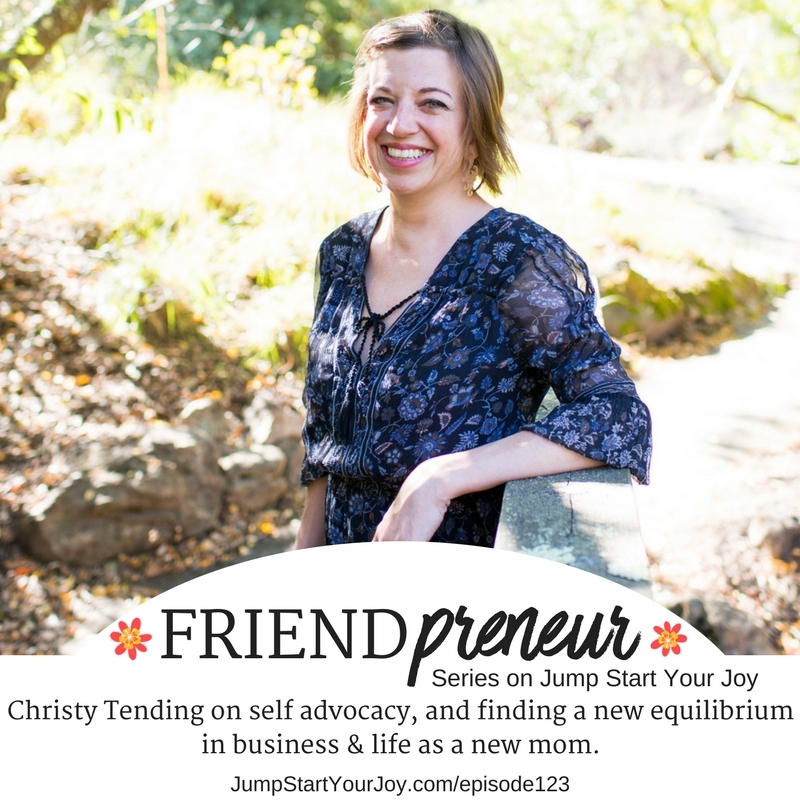 Christy Tending is my first guest in the Friendpreneur series, and we met through the podcast, two years ago. I was totally delighted to get her email asking if she could join me to talk about self-care, and her program, Sacred Focus. Christy and I hit it off and within the first two minutes of our discussion, it was clear we were going to be friends. I’ve very much enjoyed getting to know her over the past two years; we both live in the San Francisco Bay Area, and that means that we can meet face to face for coffee, for planning sessions, and to co-work. Does all of this resonate? Grab your spot in my new program, The Art of Self-Advocacy! Sign up for The Tiny Little Self-Care Class a free course for people who feel seriously burned out—and need immediate relief. The Art of Self-Advocacynow open: a three week program to become a devoted accomplice in your own freedom and well-being. The Tiny Little Self-Care Class a free course for people who feel burned out and need relief.